Even though motorcycle accidents are not as common as car accidents, the results of a motorcycle accident are often much more devastating. The circumstances surrounding these types of accidents are often unique. Unfortunately, too many drivers and even motorcycle riders do not understand the facts regarding these devastating crashes. Whether you’re sharing the road with bikes or you like to go for a motorcycle ride yourself, familiarize yourself with these lesser known pieces of information. About three-quarters of motorcycle accidents involve passenger vehicles. Most motorcycle accidents are not single-vehicle accidents and occur with fixed objects or the roadway. Roadway defects, such as ridges, potholes, etc. can lead to motorcycle crashes. Most passenger vehicles ignore the motorcycle rider’s right-of-way. Drivers are often unaware there are motorcycles on the road with them, and often will change lanes without looking out for potential riders in their path. Most experienced riders do not ride their bikes in bad weather; therefore, weather has little role to play in the increasing number of motorcycle accidents. Even at slow speeds, accidents on a motorcycle can cause disfigurement, permanent disability, and death. Front-end impacts with motorcycles are often the most deadly. Most motorcycle riders neglect to properly insure their bike or account for medical expenses when they do get motorcycle insurance. Always stay in a car’s field of vision – and avoid passing in blind spots. Pay attention to the road ahead. You need to be more aware of your surroundings. Wear the proper safety gear, including a helmet, even if it is not legally required. Do not talk on your cellphone, even with a hands-free device. Only ride if you are experienced. Avoid long travel if you have not ridden your bike in a while. Were You Injured? Call a Boca Raton Motorcycle Accident Attorney Now. The injuries in a motorcycle accident are often more severe and costlier than a passenger vehicle. 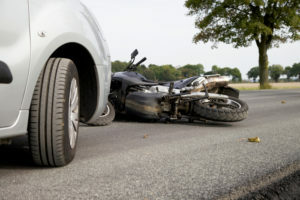 If you or a loved one was injured in motorcycle crash, you need an experienced motorcycle attorney in Boca Raton to represent your best interests. Leifer Law Firm has represented countless motorcycle accident victims and we can help you. Call us today at 561-395-8055 for a free consultation.